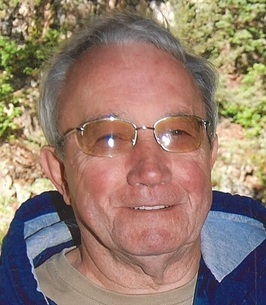 Russell Eldridge Cox, 74, of Poland, IN went to be with the Lord on August 25, 2018 in St. Vincent Clay Hospital in Brazil, IN. Russell was born in Indianapolis, IN on January 3, 1944 to the late Earl and Esther (Duffy) Cox. Russell married Ruth (Kiser) Cox on May 16, 1987. Russell lived many years in Poland, Indianapolis, and Mooresville, Indiana. He was a Vietnam War Veteran. He was a processor for Central Soya in Indianapolis for 27 years. He enjoyed camping, fishing, and going on vacation cruises. Russell is survived by his lovely wife; four children: Russell (Deborah) Cox of Indianapolis, Gregory (Jennifer) Cox of Camby, Tonya Gerhardt of Ft. Wayne and Douglas Kiser of Indianapolis; seven grandchildren; and two great grandchildren. Russell is preceded in death by his parents and two sisters. Family and friends may show their love and support from 4-5 pm on Wednesday, August 29th at Jones Family Mortuary in Mooresville with Chaplain Jim Staggers officiating Russell's celebration of life service at 5 pm. Russell's wishes to be cremated will be respectfully honored. To send flowers to the family of Russell Eldridge Cox, please visit our Heartfelt Sympathies Store.